Today’s Post (is long over due) will speak to jean making. I have created quite a few pairs of jeans in different styles; distressed, dressy like, and just pants created from jean fabric. 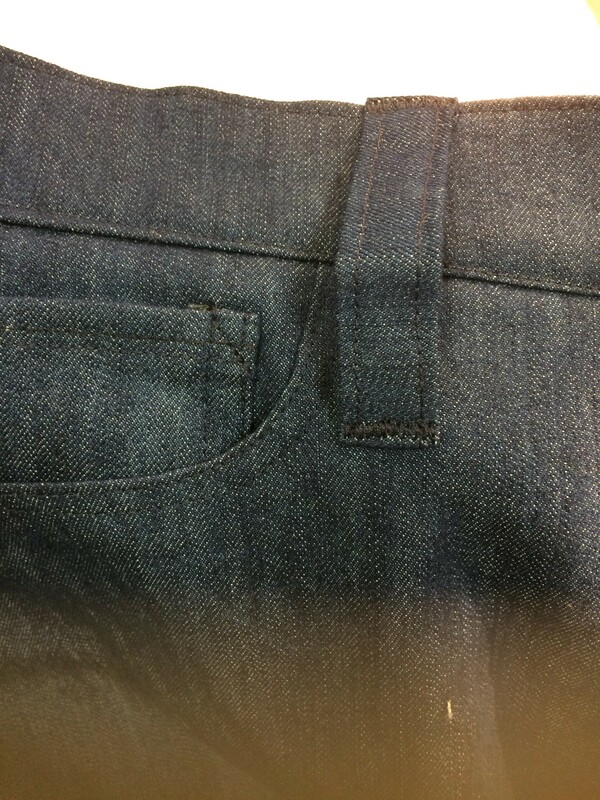 This is my first pair of “jeans” it has the coin pocket, back pockets, etc. I would have to say these are my favorite jeans and are very comfortable. The only complaint I have is I did not create my waistband “sturdy enough” it stretched out quickly. I will not remove and make another for one there is no more fabric and two it’s just too much trouble. So I will still wear them and deal with it LOL. The link to this pattern is McCalls 6610 and trust me this pattern is so worth it! It has two different style of legs and each leg style is a different pattern piece, not a pattern piece that you have to cut or trace. And oh yes I refuse to trace a pattern unless its a serious hack or its a bra pattern. I hate the whole aspect of tracing on tracing paper… I don’t sew for others that often so I have no issue cutting up a pattern. 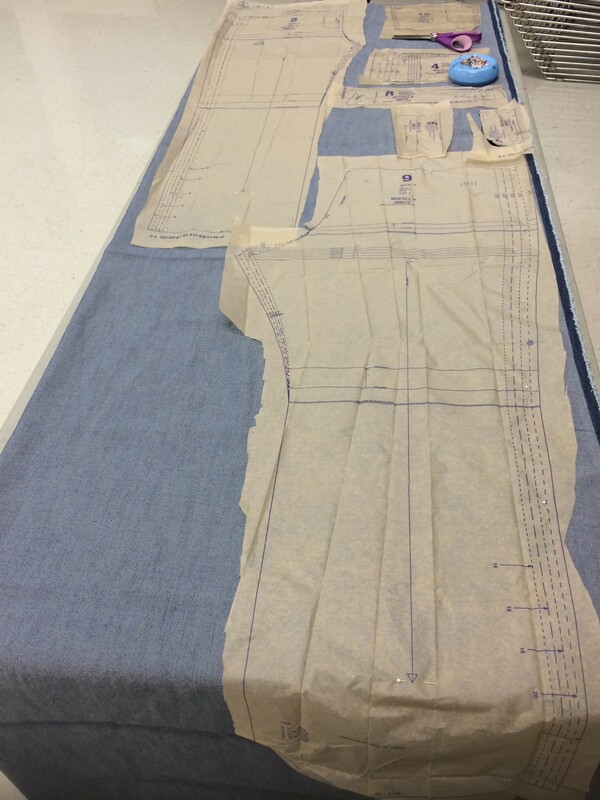 This is the lay out of the jeans on the fabric I chose view A the straight leg pattern. I love the pocket detail here it’s just like jeans you purchase in the store where the cotton pocket goes all the way across the pants top. Here my lining is a heavy weight cotton I purchased from Hobby lobby it works really well with jean fabric. 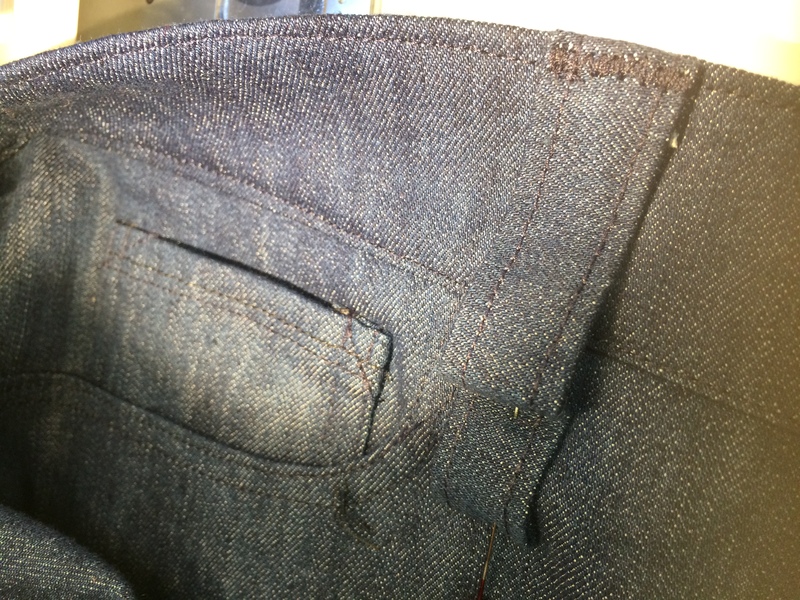 Top Stitching of the front pocket. I have an embroidery machine now I will attempt this again. I loved loved loved the coin pocket detail. My machine sewed through this with a breeze! 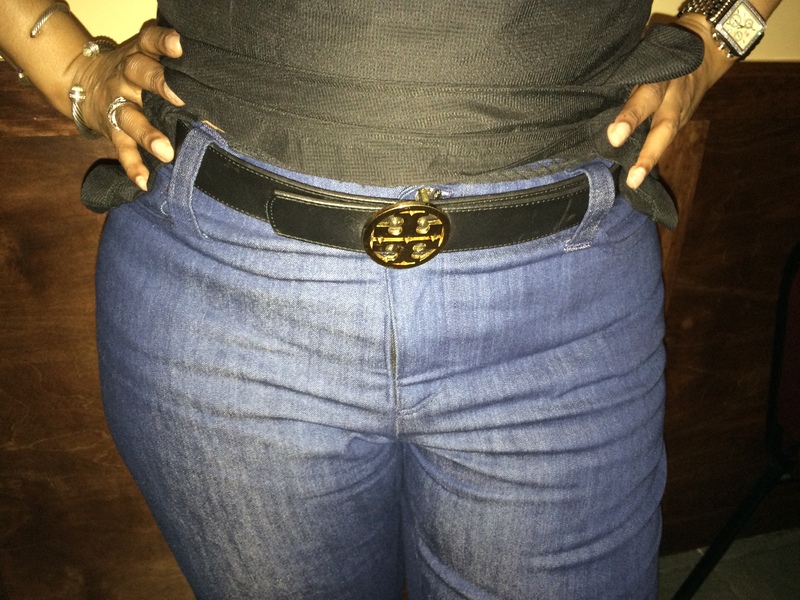 You can see my belt loop attachment as well. I used the exact measurement for the belt loop but it was a bit big. I will need to make smaller next time. Rivets are a bit challenging they should be at all the stress points but this was not easy hence, you only see two. I have a rivet machine now so I will definitely try again. This top is a Lisette 1666 but the pattern is out of print (OOP) now. I altered the pattern to have a lower back and shorter zipper. I also made a matching lace top in the same manner. 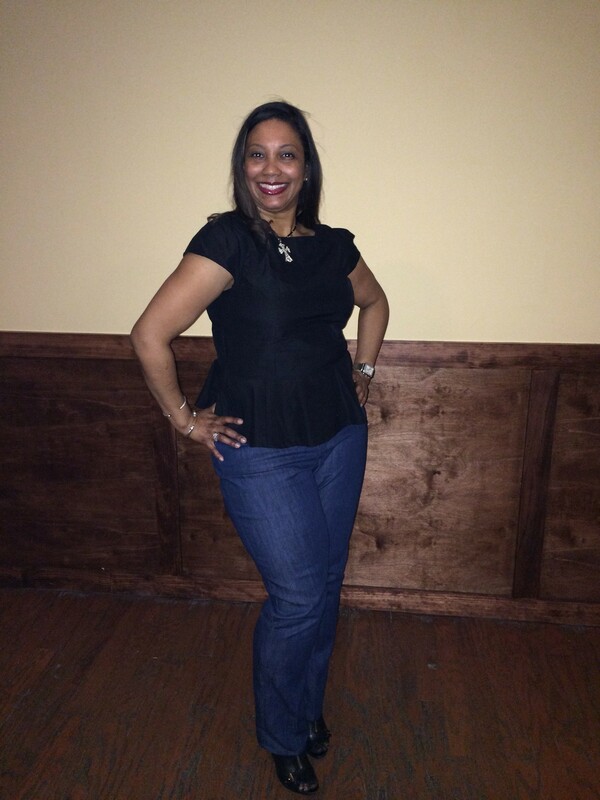 Someone commented on my Facebook page “when did I get hips?” I thought that was hilarious! 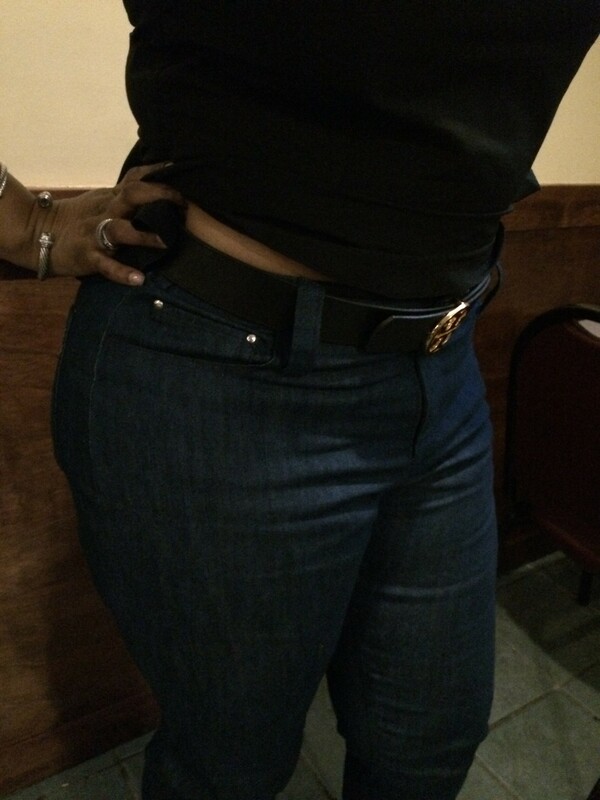 MISSES’/MISS PETITE JEANS: Fitted, straight or boot-legged jeans have waistband, carriers, pockets, front stay, yoke back, fly front zipper closing and narrow hem. Note: fitting tips included. Purchased belt. SUGGESTED FABRICS: Denim, Lining for pockets: Medium weight cotton or Muslin. NOTIONS:A, B: 7″ Zipper, One 5/8″ Button, 11/2″ – 2″ Purchased Belt. Did it look like the photo/drawing on the pattern envelope once you completed sewing with it? Yes, exactly. Were the instructions easy to follow? Yes, very easy no problems at all. What did you particularly like or dislike about the pattern? Nothing simple “go to” pattern cuts and sews quickly. Would you recommend it to others? 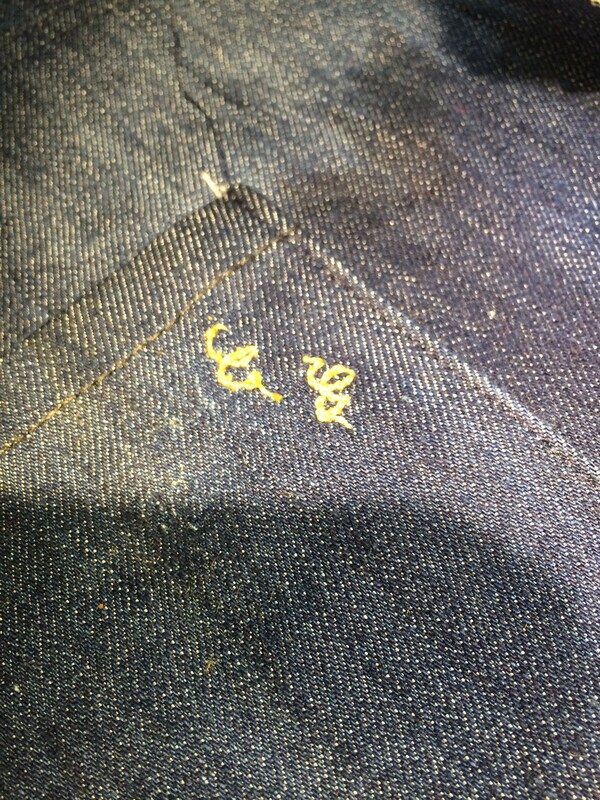 Yes, good traditional jean pattern! Conclusion: I did not find this pattern difficult at all; I can probably sew it without the instructions next time. I have a few more jeans on my list namely the Ginger Jeans that a few of my fellow Bloggers have created! I have read her instructions and they are quite interesting. I may get around to it in the next few weeks. The jeans look fantastic. I’ve never tried to sew jeans before. Can they be done on a regular sewing machine or do I need a heavy duty machine? Is it a matter of changing to a different needle? I’ve shied away from jeans because I was afraid the fabric would be too thick for my machine. But would love to try. Hello Donna and yes they can but it also depends on the thickness of the jean material. Jean fabric comes in many different weights this I would say was medium weight. I also use a jean needle and sew slow when it comes to the thick points. For instance the coin pocket probably has 4 layers to go through. I also use topstitch thread in some areas as well, that too has to be sewn slowly at the thicker areas.